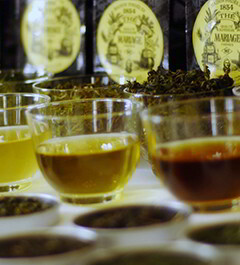 Ambootia (which means « Land of the mango trees ») is one of the most famous gardens of Darjeeling in the foothills of the Himalayas. 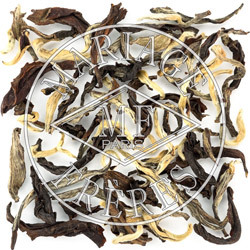 For over twenty years, this majestic plantation has been cultivated in complete harmony with this exceptional Terroir according to the principles of biodynamic agriculture, methods which have contributed to the fame of this prestigious appellation. 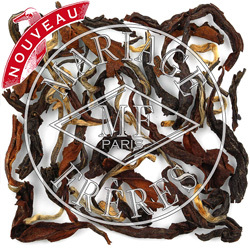 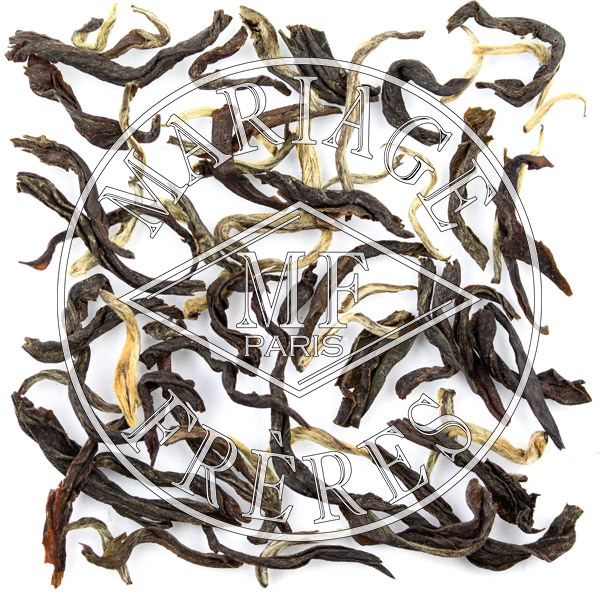 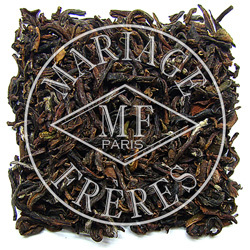 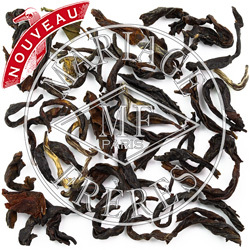 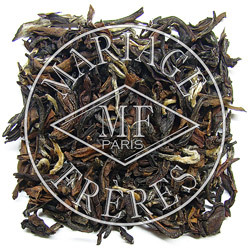 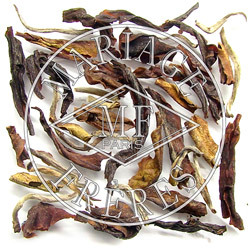 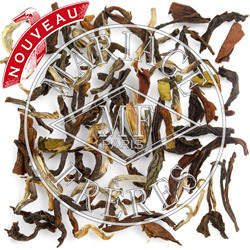 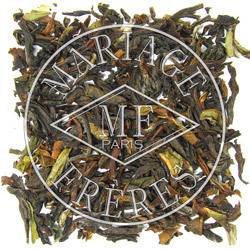 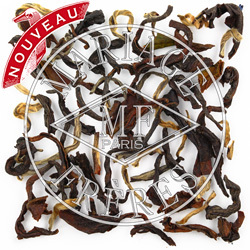 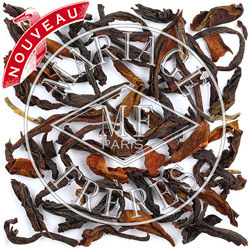 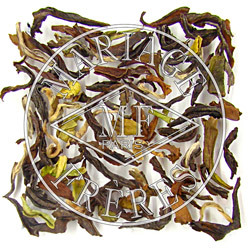 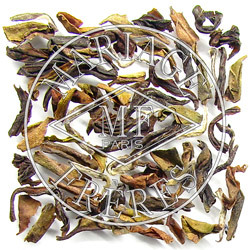 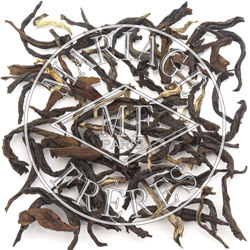 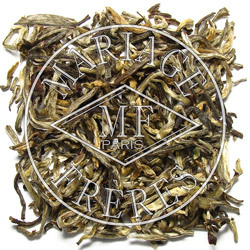 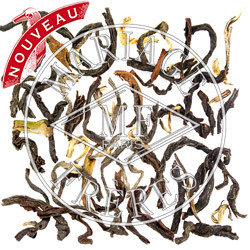 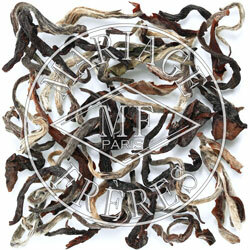 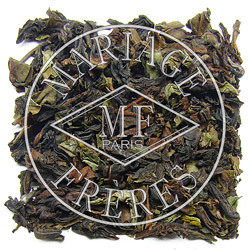 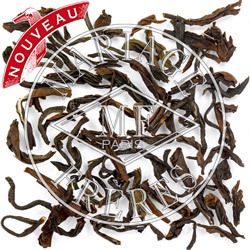 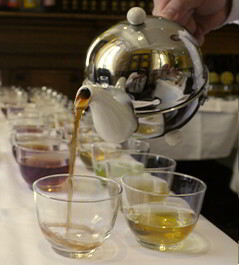 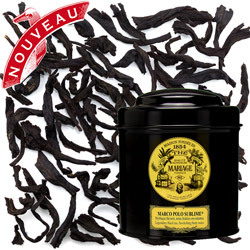 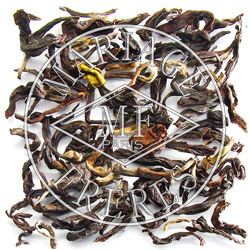 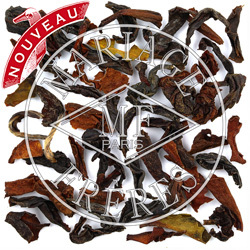 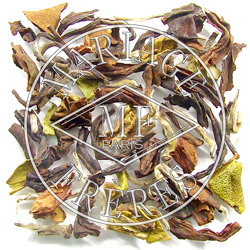 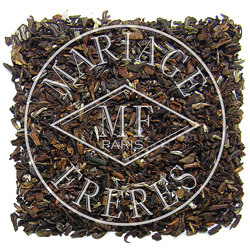 Dried leaves : The gold and silver buds deliver an aroma of stewed plum and tamarind blended with a woody undertone. 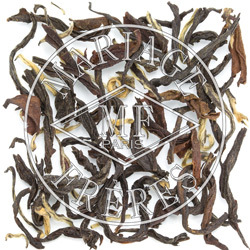 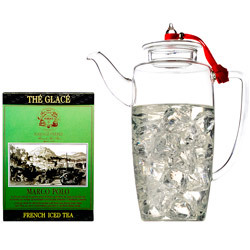 Infused leaves : Frosted terracotta, a sweet bouquet of redolent lily and roasted quince unfurls from the leaves. 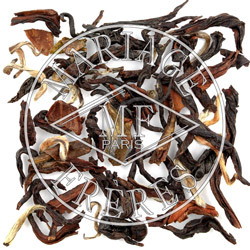 Liquor : Garnet and amber, the liquor is an ode to indulgence. 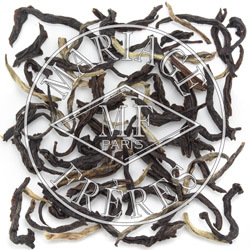 Heady notes of incense blended with tonka bean create a subtle, magical balance. 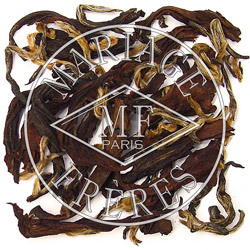 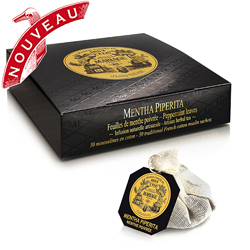 The pleasant roundness of Medjool date precedes a fruity aroma of cassis carried along by a gentle note of freesia. 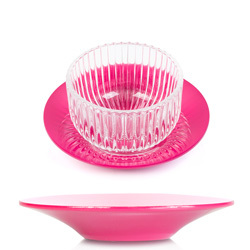 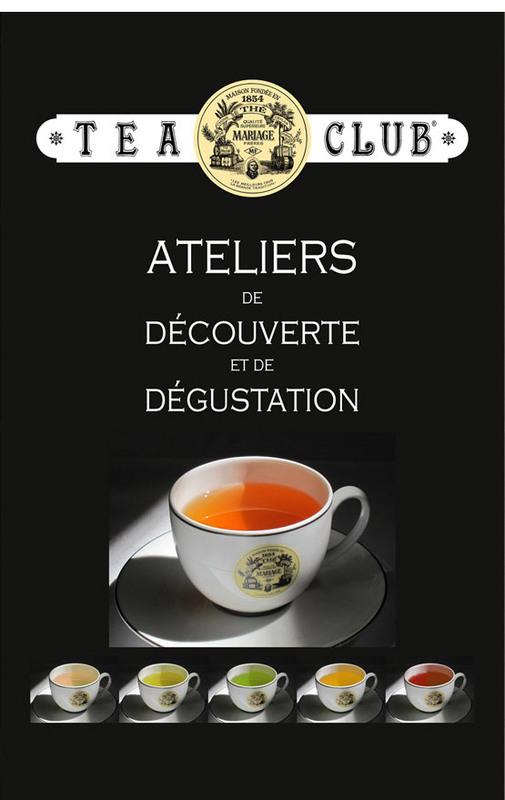 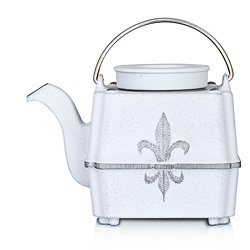 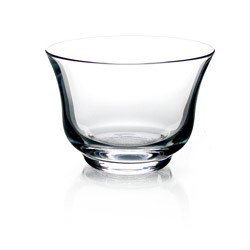 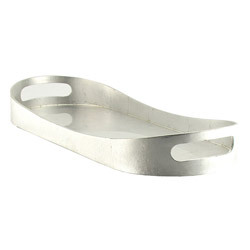 A new symbol for Afternoon Tea.